Another country heard from as they say. 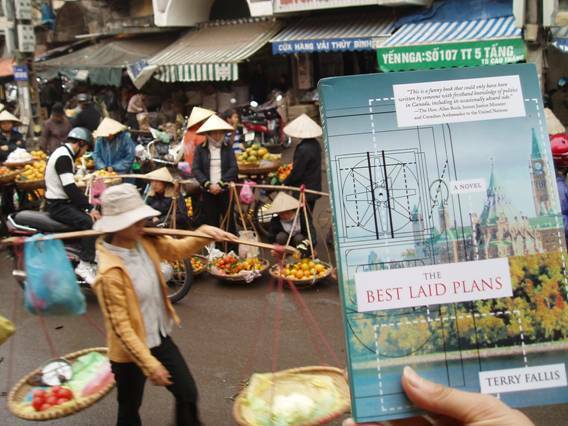 Friend and fellow PR podcaster in Melbourne, Jon Hoel, recently visited Vietnam and took this shot in a Hanoi market. I must say it is simply surreal to see TBLP against such exotic backdrops. Thanks Jon! 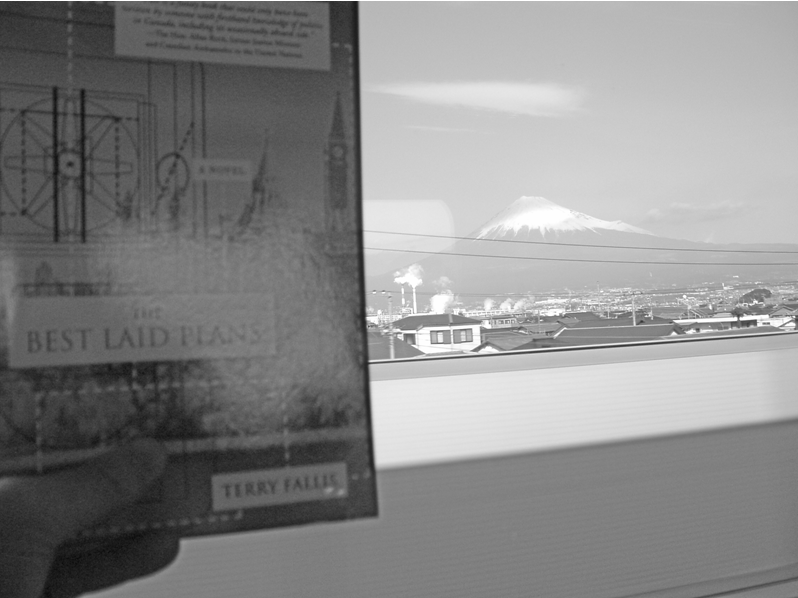 My good friend and fellow podcaster, Jon Hoel, just sent me this shot of TBLP taken from his seat on a Japenese bullet train, with the famous Mount Fuji in the background. Another very exotic locale (at least my Toronto perspective) in which to see the novel. As always, thanks Jon.